It's time to take your party to the next level with QFX's PBX-1201! This 12" woofer is packed with 2600W of hard-hitting power! 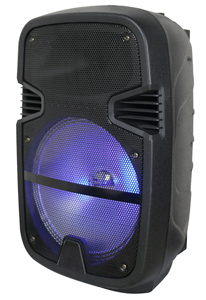 With the equipped Bluetooth streaming capability, this speaker allows you to play music from your mobile device. Never worry about this speaker dying! The built-in rechargeable battery lets you enjoy music throughout the night! 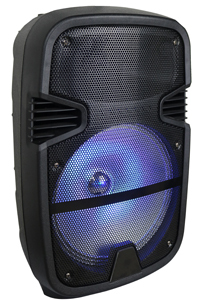 Not just for parties, this speaker is perfect for live performances. Plug into the microphone Input and show the world who's boss!